Almost 2 years ago, I took the decision to quit my job as a software engineer and to start looking for a job in the machine learning field. Right away after quitting my job, I wrote an article in my blog Up to my new Tech challenges and from there the journey started. In this article, I’m happy to share how I landed the job I dreamt of. Yeah, I got it! 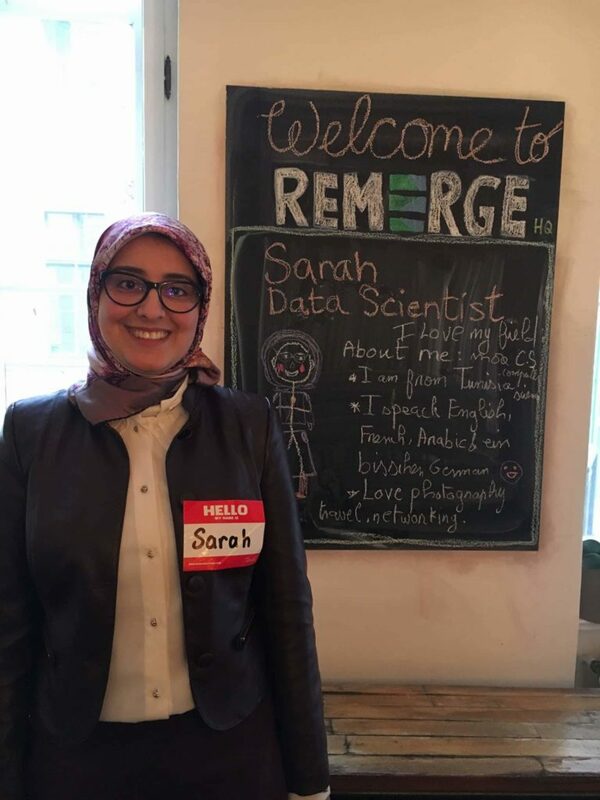 I’ve been working as a Data Scientist for Remerge, in Berlin, for one year. Machine Learning Specialization, university of Washington, Coursera: This specialization, taught by two Amazon Professors, is a good starting point, from the essential theoretical knowledge perspective especially. It goes through major machine learning areas: Regression, Classification, Clustering and Information Retrieval. You will learn different algorithms, how to predict, how to classify, how to evaluate the results, when to use each algorithm and how to tune algorithms performance. Python for Data Science and Machine Learning, Udemy: As I was also starting with python, I chose to combine Coursera specialization with this Bootcamp in order to get both practical and theoretical. I liked how it’s straightforward and very practical! It also teaches the major machine learning areas above, but with more focus on python and libraries that can be used for each algorithm and it gets you started on using Jupyter notebooks, exploring data, and so on. While following it, different fields in data science are explored as well. Exercises are sometimes applied on financial data, other times on e-commerce data and by the end of the course, it also introduces recommender systems, neural nets, and deep learning. Towards Data Science newsletter gives a variety of selected data science topics. Free Code Camp newsletter provides some interesting developer topics. It’s nice to combine both specific scope and broader scope through these two communities. I also have a Medium daily digest that I receive on the email, which shares new articles based on what I follow in Medium, I suggest you do it as well. It helps to keep yourself updated and motivated. Even when you’re in public transportation or doing some house chores, you can learn! Listening to podcasts is a brilliant idea whenever you want to keep your time fruitful while doing some other necessary stuff (I know: there is so much going in our lives). Super Data Science podcast: In these podcast series, Kirill, CEO of Super Data Science, interviews people from different backgrounds, sharing the same passion: Digging into the Data! I found his podcasts very informative: they connect you to people in the field of Data Science, let you discover data science in different areas as those people have a very broad professional experience and they motivate you to push your limits and work harder towards reaching your goals because IT IS POSSIBLE! Data Science from Scratch , by Joel Grus: This book is helpful whenever an algorithm is not well understood, as it teaches you how to implement it from scratch, step by step. Doing Data Science, by Cathy O’Neil: It introduces different topics and techniques in Data Science and their application on some real problems. It helped me in my small projects like a spam filter and building a recommender system. Think Stats: Exploratory Data Analysis in Python, by Allen Downey: I used this book as a reference to learn how to do EDA correctly. It gives necessary statistical perquisites and builds on them with real dataset EDA examples. Online Stat Book: I felt so lucky when I found this online resource because I was struggling with stats required background and I don’t like those too much theory books or courses. This one worked with me. Feature Extraction & Image Processing, by Mark Nixon: Helpful when starting with a computer vision project. Recommender Systems -The Textbook by Aggarwal, Charu C: Of course, this is all about recommender systems, one of the best references, I even bought it in a paper version, as I really wanted to work on recommender systems. There are still a lot of resources and courses available online, they are even unlimited, you just have to look and pick what fits you better, but there is one thing absolutely essential in order to really benefit from this toolkit: It’s being committed, to know what you want to achieve and when, and to be consistent, because you get what you focus on! I bet you’re now thinking: ” Easy to say, hard to achieve” and I’m here to answer: I’m writing this blog to give a concrete, real-life example. Of course, it’s not easy, but every successful person you may think about has developed a success/progress strategy. What was the strategy that allowed me to get a data scientist job? Let’s keep that for the second part of this article. I would like to finish with this picture that our office manager took in my first day at Remerge: She asked me to draw a picture of myself and a short introduction.